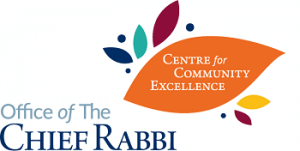 There was a strong sense of inclusion woven into the fabric of Edgware United’s ShabbatUK celebrations, as the community put a grant from the Chief Rabbi’s Centre for Community Excellence towards making 50 special food parcels for those unable to make it to shul. Meanwhile, Rosh Pinah school children and their families were able to bridge school and shul life in the best possible way, with a Friday night dinner joint with Edgware United. In the main shul, Shabbat was welcomed with a communal candle lighting, followed by a spiritual Carlebach service and community oneg. A communal lunch and musical Havdalah were particular highlights of Shabbat day. “I liked that it was geared towards the children so that they would enjoy themselves. It was also really nice twinning with Edgware United”.